These super cool Hummel training shoes are a classic pump with a retro vibe about them and they are incredibly trendy right now! 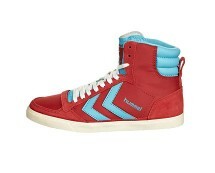 They will team nicely with any of your casual wear and ultimately offer you comfort with style for everyday! 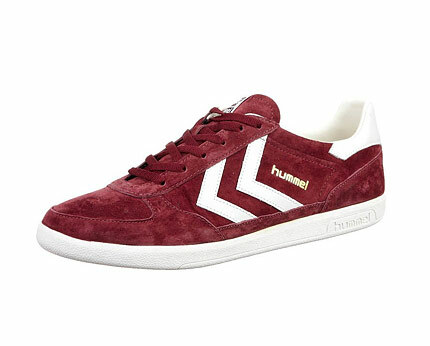 These Hummel victory trainers are a suede effect fabric with contrasting white soles and leather logo stripes to the sides which is real stand out feature on this design! 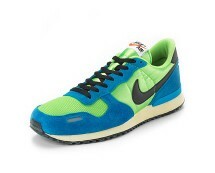 The logo is also clearly seen on the tongue! The soles of this shoe have a nice and sturdy non-slip grip which is ideal for day wear, especially during the frosty cold months. The lace up fastening in matching colour completes a stylish appeal to this design. 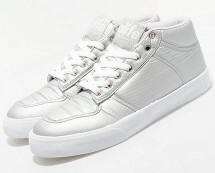 The trusty Hummel brand provides comfort with style and they do offer good quality products for the low prices you pay! Team with casual denims for an edgy retro vibe for everyday style! 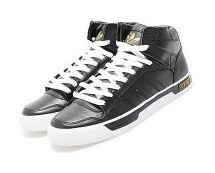 Black leather Adidas Originals men's mid basketball style trainers with tonal three stripe branding on the sides.